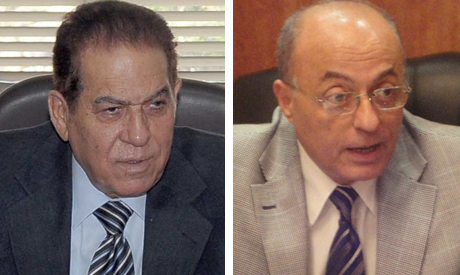 Candidates seeking to stand in Egypt's coming parliamentary polls began registering on 8 February. Official statistics show that by the end of Tuesday – or 10 February – the number of candidates who had been able to register in the three days had reached a total 3332, with most of them aiming to stand as independents. Just few days ahead of the registration date, all were surprised by the decision of a group of high-profile figures to form an electoral list under the banner "For the Love of Egypt." Sameh Seif El-Yazal, a former intelligence officer and chairman of the Gomhouria Centre for Political and Strategic Studies (GCPSS), said he and many others were aiming to run on a list of candidates that the Mubarak-era prime minister Kamal El-Ganzouri was trying to compile but decided to scrap it in favor of another list under the banner "For the Love of Egypt." The new development comes a few days after a number of opposition political parties complained in a meeting with president Abdel-Fattah El-Sisi that El-Ganzouri was acting on behalf of the government and that he was allowed to use state facilities to prepare his list in breach of neutrality and integrity. According to El-Yazal, "the reason why we decided to abandon El-Ganzouri's list was because his efforts aimed at unifying candidates of secular political parties on a single list ended in failure." El-Yazal said he has made several contacts with a number of political parties, especially the liberal Al-Wafd and the Free Egyptians Party, in a bid to reach a single list of candidates running for both independent and party-based seats. "Our great objective is that all secular political parties join forces at this critical time to ensure they get a majority in the coming parliament," said El-Yazal, adding that "what also brings us together is that we believe in the ideals of the two revolutions of 25 January and 30 June and we want to join parliament to put these and the new constitution into effect." Political parties, however, have strong doubts that "For the Love of Egypt" list is nothing but a replica of El-Ganzouri's list, and that both are two faces of the same coin. Chairman of Al-Wafd party, El-Sayed El-Badawi, said he has already received contacts from El-Yazal, proposing the formation of a single electoral coalition. El-Badawi, however, indicated that many of Al-Wafd's members have raised strong doubts that El-Ganzouri was forced by president El-Sisi to scrap "his national list" after political parties had complained that his involvement in elections would cast doubts over its integrity." El-Badawi also said in press statements that Al-Wafd members believe that "For the Love of Egypt" was formed to replace El-Ganzouri and that both enjoy the support of the government and that this represents a violation of neutrality. Rumours were widespread in the last few days that Al-Wafd members asked for an urgent meeting Wednesday with El-Badawi to reconsider participation in the polls in protest at what they called "intervention of state authorities in the election process." El-Yazal indicated that he has also made contacts with liberal political activist Abdel-Gelil Mostafa who is trying to put liberal and leftist revolutionary candidates on a single list. Meanwhile, the formation of the "For the Love of Egypt" list has caused a backlash from the so-called "Egyptian Front" electoral coalition which had been in coordination with El-Ganzouri. Yehia Qadri, chairman of the Egyptian National Movement party which is a member of the Egyptian Front coalition, said "members of the coalition were surprised by El-Ganzouri's withdrawal, especially after we had gone a long way in coordination with him." Qadri said there was an agreement with El-Ganzouri that 20 public figures from the Egyptian Front would be running on his list. Qadri told Al-Ahram newspaper that "after the new developments, we will be trying to coordinate with Al-Wafd again." A meeting was already held between Al-Wafd's El-Badawi and a delegation of the Egyptian Front Coalition on Sunday. ”We fought for his electoral list, but we were surprised by his withdrawal," El-Shehabi told Ahram Online. El-Shahabi said he believes that El-Ganzouri was forced to withdraw upon pressure from president El-Sisi and to pave the way for the so-called "For the Love of Egypt" list. "It is just a change in tactics, but the new list wants to give an impression that it includes independent public figures who had never been loyalists to the Mubarak regime and who act on their own without support from the regime," said Shehabi. The so-called "Independence Current" electoral coalition which was defending El-Ganzouri's new political roles have also announced that it will not back the new list and that it will run on its own. The only party which decided to join forces with "For the Love of Egypt" list was the Free Egyptians Party (FEP), founded by Coptic businessman Naguib Sawiris. FEP's spokesman Wagih Shehab, said many of the names on the "For the Love of Egypt" list of candidates were nominated by the party. Shehab said most of these names are Coptic Christians. The "For the Love of Egypt" list of candidates includes FEP officials such Emad Gad, an Ahram political analyst; Margret Azer, a former Wafd MP; Mona Mounir, a political female activist. The list also comprises of El-Yazal; former minister of information and chairman of the Media Production City, Osama Heikal; chairman of the Tamarod movement, Mahmoud Badr; and former spokesperson for April 6 Youth Movement, Tarek El-Khouli. "For the Love of Egypt" also attracted a number of businessmen such as Alexandria's industrialist tycoon Mohamed Farag Amer; business tycoon Zaki El-Swedey; automobile magnate Wagih Abaza; and Sahar Talaat Mostafa, sister of the Mubarak-era businessmen Hisham and Tarek Talaat Mostafa. Hisham El-Qadi, a candidate on the "For the Love of Egypt" list, told Al-Ahram that "one can never say that our list enjoys the support of the El-Sisi regime or that it is a different name for El-Ganzouri list…I think those who will face accusations that they are supported by the regime will suffer a lot because this is a liability rather than an advantage," said El-Qadi, adding that "it will be very difficult for state authorities to support a certain list because the polls will be observed tightly- locally and internationally." On Tuesday, El-Wafd party refused to boycott the polls, indicating that "we had not boycotted the Mubarak-era elections even though they were rife with irregularities, but now that the possibility of rigging polls has become so difficult, we could not opt for a boycott again." Egypt's parliamentary elections will be held in two rounds, beginning on 21-22 March and ending on 6-7 May. Egypt's new parliament will comprise 567 seats, 420 of which are independents and 120 as party-based officials. The remaining 27 will be appointed by the president.